Emerald City Comicon Approaches, AND SO DO I. Are you going to The Emerald City Comicon this coming weekend? Really? SO AM I! Wow, what are the chances, huh? We should be best friends or at least complete strangers separated by the distance of a convention booth. And what a fine booth it shall be: THE TOPATOCO BOOTH. I know, it’s not my usual SLG booth, but SLG won’t be there, and the Topatoco people were nice enough to let me squat with them for a bit. I also have a discussion panel on Saturday at 5PM in room 3AB, but it’s going on at the same time as George Takei’s panel, so if I’m not at my own panel just go ahead and ask my empty chair questions and it’ll probably be way more tolerant than I would have been! As usual, I’ll have some prints sewn into my body and it’ll be up to you to use the specially supplied tongs to extract them. I might also just be carrying them around in a little case, so if you don’t see the tongs you’ll have to assume they’re in the case. 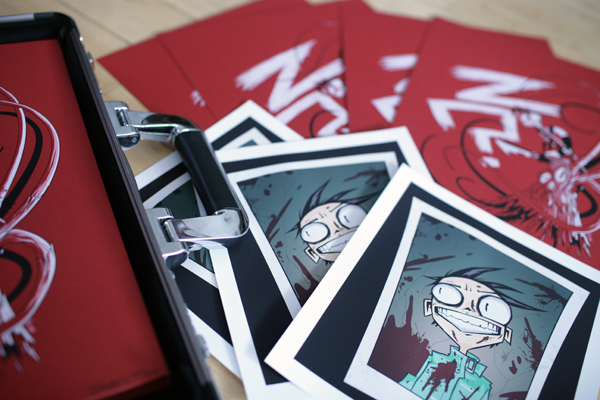 It’ll be kind of a NNY-sack since it’s just jammed full of JTHM related stuff, the Floor Damage Prints and some Johnny headshots I printed up since people seem to like having photos signed. 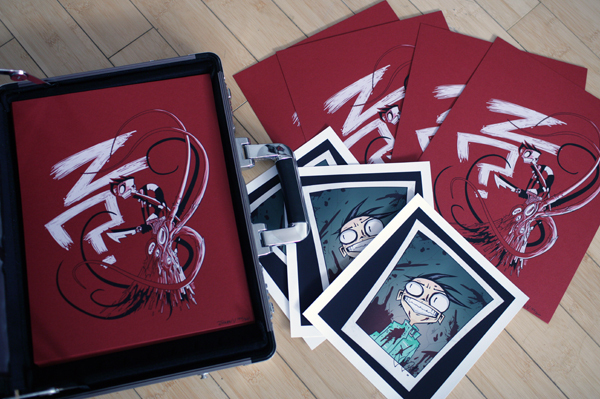 This entry was posted in $Z.99, Appearances, comics, works and tagged conventions, ECCC, JTHM, prints, seattle on March 28, 2012 by Jhnen VEE.